Francis is 62 years old. He has lived in a slum in Kampala, Uganda for 25 years. In all this time, he has never seen this community or his small room that he rents for his family, as home. 20 litres of clean water can be purchased from a protected spring some distance away. Francis earns a small living selling potatoes, tomatoes, onions, avocados and nuts on the streets. He moved to the slums as, like for many people, they were the only place he could afford to live. For one room that is shared by ten people, Francis pays 100,000 shillings per month. (Around £20). As is the case with many slum communities, the simplest aspects of life can be a huge challenge. Like their water supply. Francis explains some of the challenges of obtaining clean water. 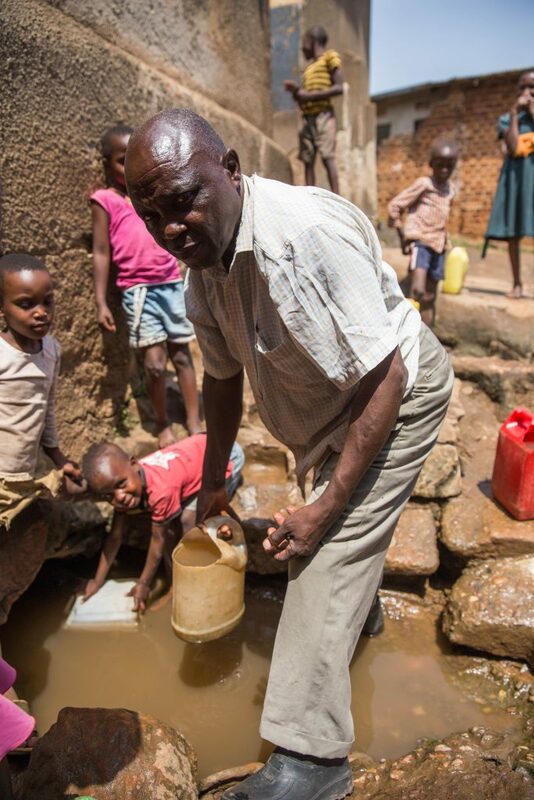 A 20 litre container costs 1,000 shillings from a protected spring well some distance away. Once he arrives there, he can frequently wait three hours or more, and in that time, it’s not uncommon for fights to break out in the queue. 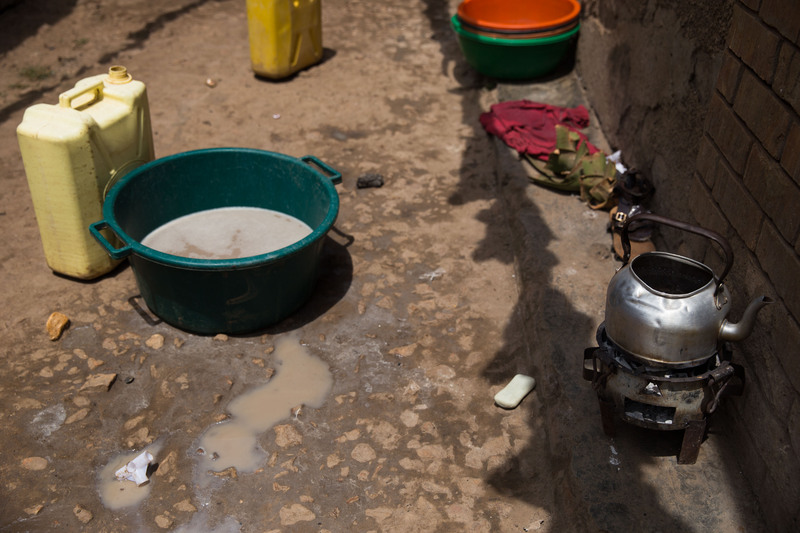 Dirty water can be obtained from a local well, but the fuel needed to boil it is expensive. Another option open to Francis is to collect water from a more local spring well. This is closer, but the water is very dirty and needs to be boiled before it can be consumed. This in itself is only possible when they are able to afford charcoal. Many people in the slums have no choice but to consume this water without boiling it, and consequentially many people suffer with typhoid. Sickness in the slums is generally commonplace. This is certainly the case in Francis’ household. Click to donate safe water and save lives.